This week the latest version of BIM 360 Glue was released; offering a completely redesigned user interface, making it quick and easy for project participants to share, review and coordinate models. In addition to the improved UI, under the hood has also received significant attention, now with Autodesk core technology for BIM viewing and coordination as found in Navisworks. This brings consistency in model viewing across desktop, cloud and mobile solutions from Navisworks to BIM 360 Glue and BIM 360 Field. And with consistent clash technology being used, the same clash test being run in Navisworks and BIM 360 Glue will yield identical results. Another huge advancement in my opinion is the Glue integration with Navisworks – in the previous version you could push Navisworks model up to Glue, but now you can open and append models and merged models directly from Glue too. 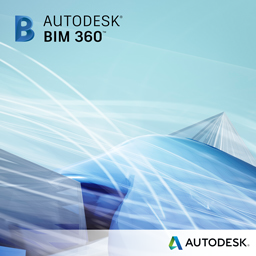 In this post, I want to highlight the collaboration BIM 360 Glue can bring to your projects - connecting designers, construction professionals and clients, to facilitate better project outcomes. Architectural and Engineering design professionals can upload their models to BIM 360 Glue, making them immediately available for the whole team. With continuous access to the latest model versions, designers are able to perform their own coordination ahead of weekly/bi-weekly review meetings – think of this as "reducing the noise", and making broader team reviews more focused and productive. Glue add-in applications make it even easier to work with Glue from within authoring applications such as Revit, AutoCAD and Civil 3D. These add-ins enable you to send your models directly to Glue; and when clashes are found with your model, you can open the clash report within your design app and quickly access the clashing element to make the necessary design changes. The design models can be merged to create federated models, which may initially be carried out by a BIM/VDC Manager - though it doesn't need to be; anyone can create a merged model, combining any combination of individual discipline models – you can think of merged models as being similar to an NWF in Navisworks, a project model referencing individual design models. And merged models will automatically update whenever the design teams update their constituent models. Everyone has immediate access to the latest federated model, without needing to wait for it to be curated and re-published, speeding up the entire coordination and collaboration cycle, and freeing up time for more value add pre-construction activities. As mentioned above, anyone currently using Navisworks, can now access project models from Glue. Thereby ensuring they're working with the latest designs, they can perform advanced project analysis such as 4D simulation and quantification. Their Navisworks project NWF will be referencing the model data in Glue, so whenever they open the NWF it will bring down the latest model versions from Glue. Running Change Analysis in the Navisworks Quantification tool for example, provides an efficient workflow for identifying change between design iterations. BIM 360 Glue is exceptionally good at getting everyone on the same page, ensuring everyone is up to date, and sharing the same information. Whether you're a BIM guru or novice; in the office or the field; coordinating models or installing equipment, there's an app to suit your workflows. Clients for example can access the individual disciplines and federated models in the BIM 360 Glue mobile app for iPad. This provides continuous and consistent access to the latest models, providing transparency and ensuring buy-in and engagement from the client throughout the project. Check out this Case Study from M Moser Associates to learn about how they are using BIM 360 Glue to deliver projects on time and within budget, with improved client engagement throughout the project. Also visit the BIM 360 Glue website to find out more about the latest release, and try it for yourself with a Free Trial.